I work for a brand experience agency, Imagination, as the Global Head of Strategy for our Ford work. I am responsible for delivering strategy and constructing narratives for/with brands. And making them happen in an experiential environment - online or offline. I also work with our other clients such as UWSEM, Truck Hero and Gypsy Vodka. It may have been my imagination but SXSW had a more serious tone this year. There were politicians making their case for next year’s presidential race, there was a lot less chat about making millions with Blockchain and a lot more about female empowerment and ethics. In fact that’s the first key trend I observed – Ethical Digital. Since the Facebook/Oxford Analytica scandal, people have woken up to how their personal data may not be as private as they thought and to the ethical grey ground that social media platforms can inhabit. The idea that people who create technical platforms might have some responsibility for how they are received, the messages they give or the ways that they are used is only now coming into the public consciousness. Combine that with an upcoming election, political investigations and the #metoo movement and it’s no surprise that there was a strong stream of presentations this year focused on ethics. Specifically the presentations were on how ethics must be built into digital experiences, with some striking examples of how it isn’t. But, this being SXSW, the focus was on networked homes, IoT, AI and even delivery systems like AR. Garry Kasparov (yes, the chess player who was beaten by IBM’s Deep Blue) is now working for security experts Avast. He spoke about how insecure consumer-facing AI and IOT systems are and how difficult it is to work out how to make them secure because so much rests with the end user. He highlighted the way that manuals provided are designed to be brief on the one hand or extremely detailed on the other. 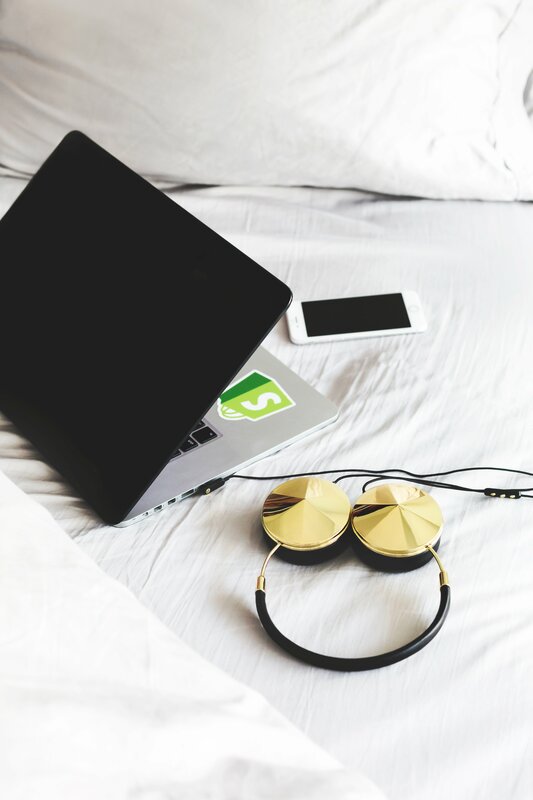 Think about an Apple or Google Home start up booklet – 6 pages that help you to get going but never give you the information you need to ensure to secure your home system. Avast then used a “Russian hacker” to give a demonstration of how easy it is to hack a smart home from playing music at 4am to getting right into Spotify and taking financial data. Scarey. But there is hope. He pointed out that because many home assistants are AIs they could easily learn typical owner behavior sets to ensure better security. In fact, Avast has a positive approach to AI, a belief that AI are more efficient, but humans more intelligent and so we are complement each other. But they are also clear that the agencies that create AIs or devise IoT networks have responsibility for how humans use them. And was clear that humans have the responsbility for action or inaction. Katrina Dow the founder of meeco.co, a start up managing personal data, highlights all the flaws in current developments. For example, the clear bias built into AI assistants like Siri, Alexa and Google which start off with a female voice and persona. Why? Because they are serving us. Yes, you can change the voice, but do you know how? She also explored the kind of legacy we may be building for our children by including them in our social posts from before their birth. We’re providing data about birthdays, lifestyles, spending patterns and so on that could be used to determine credit scores, school applications and criminal potential – right now. We are signing away rights to their images and data on educational platforms, like SeeSaw, and we have no idea if or when that data will be sold to governments, health providers or insurance companies. But there is a flipside. We could also be providing data that will enable better health care or personalized education. Her focus was primarily on making the user the edge, having them deliver data to apps as required, rather than warehousing everything in giant cloud based systems that require you to sign away your rights. 3. Privacy and security – eg how do you opt out? 6. Accountability – can you co-develop with customers? Finally, there were plenty of VR cinema experiences to be had exploring current issues in fully immersive worlds. For example, Border Stories which put people along the US-Mexico border, Girl Icon about girls inspired to enter education by Malala Yousafzai and Last Whispers about dying languages. Ethics is always a theme at SXSW, but this year it felt like it was higher up the agenda and emerged in more accessible places. I doubt it will make the headlines in the same way as the more fun immersions and musical acts, but it will impact us far more deepy in the long term if we get it wrong. technology changing our world so rapidly in the last ten years and with AI becoming ever more present in our lives there is a lot of discussion around preparing our children for the future. This tends to focus on the fact that the jobs that might be around the corner are likely not to even exist yet and that we have to skill up our kids. The jobs I have done for most of my life (website management, content strategy and experiential creative strategy ) weren’t around when I was born – strategy kicked off in the USA in the 80s, the web wasn’t even created until 1989. And yet…here I am doing the jobs. 80% of the programming languages used today weren’t around when I was a child. And yet there are millions of people my age happily working as coders and designers. But how? I hear you gasp incredulous. My guess? They were taught how to use their brains to the best of their ability and talents. They were taught how to think. We need to stop teaching people to do stuff and focus more on teaching them how to think about stuff – whether it’s practical stuff or theoretical stuff. Focusing blindly on programming and coding isn’t going to help them any more than teaching them how to work mining machinery. And if we crack the nut of making their education enjoyable they can pivot, reskill and develop on their career paths so that it won’t matter if they never learned Perl, they’ll teach themselves, like I did. And then they’ll teach themselves another language. And another. And they’ll love doing it. 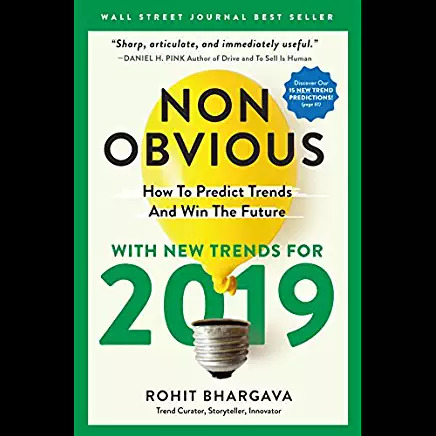 I was lucky enough to get a copy of Non-Obvious 2019 to review just before Christmas and I was jolly pleased, because I usually buy it anyway. The trends that come out are applicable, useful and just over the horizon, so, close enough to be relatable but far enough out that if you employ them you make an impact for your clients. As an example, one of last year’s trends was Ungendered and low and behold what do we see in 2018 but the Collusion collection on ASOS and Gucci’s Future is Fluid film. But in case you are bored by the idea of just another trend set, Non-Obvious actually does a review of where they were right and where they were wrong. Unusual. And confidence inspiring. Me and my team use the methodology as a part our experiential trends development. It’s great! Hot off the press! What do Imagination’s global strategy team see as they look into their experiential crystal ball for 2019?